Earlier today I met up with my friend Chloe on her way up to Glasgow, and we went to the Souzou exhibition with her old flatmates. When she went to catch the train, I decided to fit in a visit to the Petrie Museum round the corner in UCL too, which I hadn’t been to for a long time. (I tried to say hi to Jeremy too, but his box was closed). The museum is currently crammed into some upstairs rooms of the university (they have plans to move to a bigger, more suitable building), and is open at inconvenient times. 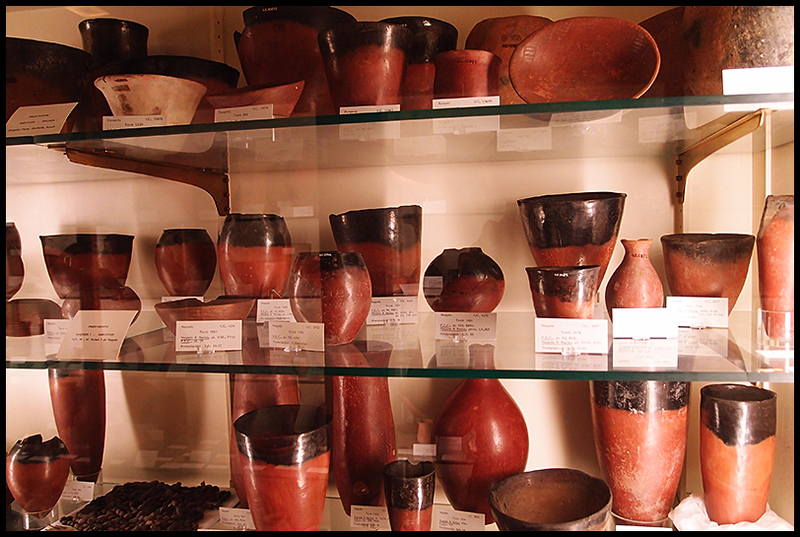 It’s like the museum that time forgot, despite their fabulous collection of artefacts. Everything is piled up en masse in tall glass cabinets with typewritten labels. The cabinets are close together, and the lighting is bad, and there are odd corners filled with strange junk from schools activities. One of the galleries is housed down the walls of the fire escape. It’s totally unaccessible, and probably uninviting to a lot of people. I kind of like it though, even though I think it’s good that they are going to move to somewhere more appropriate. Chloe commented that she had found the museum fairly boring when she visited, because it was just odds and ends with no explanation of what they were, which isn’t very helpful if you don’t know about the topic before you visit, and not really the aim of a modern museum. 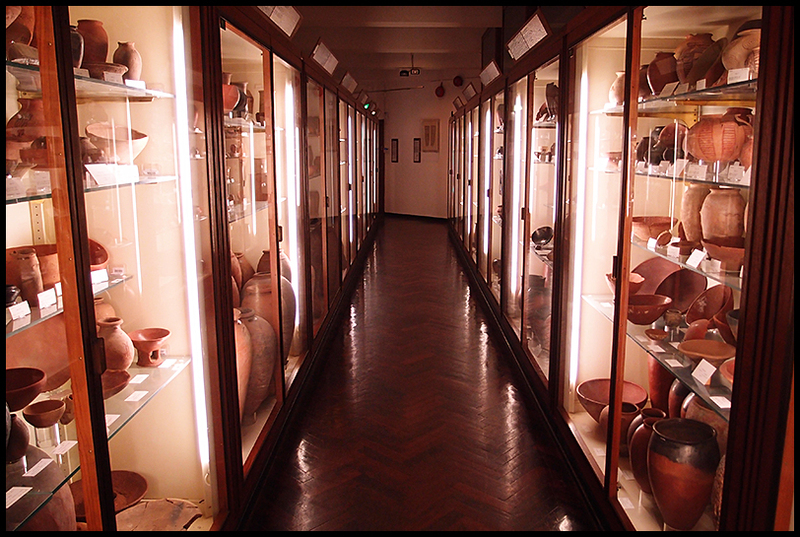 I studied Classics/Ancient History at uni though, and bits are what I like in this kind of museum. I love seeing people’s everyday items from the past. 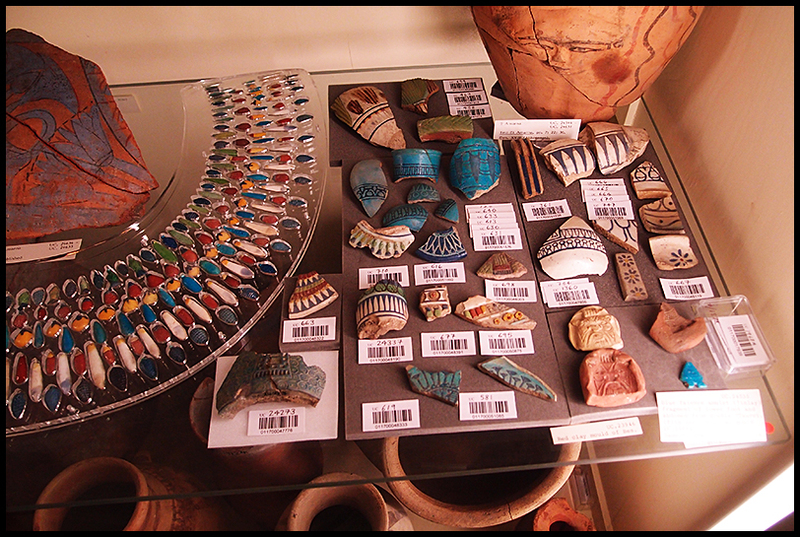 The museum has a lot of jewellery, household items and pot sherds and mummy face plates. I particularly love the faces from the period of Roman occupation of Egypt. People continued to use the traditional Egyptian sarcophagi with stylised art, but added a portrait of the person to the face of the mummy bandages in the realistic Roman style. This means you can see what the people looked like when they were alive. Here are some examples. I didn’t take many pictures of the contents of the cabinets because the glass was very reflective and I can’t find my polariser. Flinders Petrie himself was a miserable sod, but he is one of the few figures from the early days of archaeology who wasn’t basically just a vandal/bumbling amateur (I’m looking at you, Schliemann and your dynamite). He made up for that in bad deeds though in being a firm believer in eugenics. That is so cool about the portraits…and lucky, I guess, that it was the Romans. I guess that's about as close as you could get to a photo at the time. I studied the British Empire and I spent a lot of energy on the everyday interactions between low level army officers and the India, the Sudan, etc…people that weren't so concerned with the bigger issues but, just playing the angles that were presented to them. It's nice…maybe even important…to be reminded of the every day, the consistency, of human existence.